This belt helps prevent caregiver back injuries and assists in the safe transfer or ambulation of patients. It is made of sturdy cotton and has specially designed easily applicable quick-release nylon buckles for maximum hold and accessibility. Laminated webbing wipes clean to help address patient cross-contamination issues. 2" (5 cm) wide webbing. 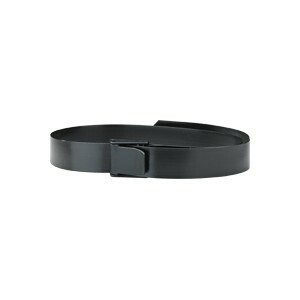 Easy to apply airline style buckle.